Bluegrass Pundit: IRS illegally gave up to 2500 taxpayer documents to White House? 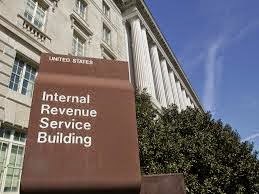 IRS illegally gave up to 2500 taxpayer documents to White House? The IRS improperly turned over thousands of confidential tax documents to the White House for review, according to information obtained from a lawsuit filed against the U.S. Treasury Department’s inspector general by the legal advocacy firm Cause of Action, exposing a pipeline of communication between the two, the Daily Caller reports. Such documentation, including the exchange of confidential information between White House policy adviser Jeanne Lambrew and former IRS official Lois Lerner, came to light after it was revealed that the the IRS had likely targeted conservative groups for review, including one that had sought in a 2012 lawsuit to overturn Obamacare’s contraceptive mandate, the Daily Caller noted.